Liquor Barons. Also heard that 2426 has the same one. 1881 & 1882 have been refurbished. And 1884. Unsure on 1883 though. Off The Rails wrote: And 1884. Unsure on 1883 though. I can confirm 1883 has, saw it this morning. Possibly for 2082 and 2085, but 1615 wouldn't be unusual. Swan picked up some Circle Route work to assist Transdev this afternoon. PATH Transit have sent 2760 and 2761 to assist Transdev with their evening operations in the Fremantle Contract. There are conflicting reports as to whether they are doing Service Runs or are assisting with Rail Replacement Duties that Transdev have this evening. Hasn't set 117 been in service for many months now? The first reports of it in service I am aware of date back to July. Bset 122 down in Bellevue bogie exchange. Squiddy wrote: Hasn't set 117 been in service for many months now? As for refurbs, up to and including 1952 are back from refurb and in service at Rockingham, 1953, 54 and possibly 1955 are all away. And despite being one of (if not the) oldest pre-refurb OCs in Perth now, the three dolphins RCCTS1-3 are all still in service. I often wonder what the plan is with these. Today there's 4 Swan buses doing for the specials to Elmar's in the Valley. Just only remember only one of the bus was 2491 on Saturday. On Sunday 2487 and 2491 were running as 623, 2530 and 2553 were running as 624. Last edited by shinjiman on Sun Oct 21, 2018 9:48 pm, edited 3 times in total. The three being 123, 124, 125 and... 126? Set 122 was sent, with Set 3 and 7, to Nowergup last night - It's posted above. 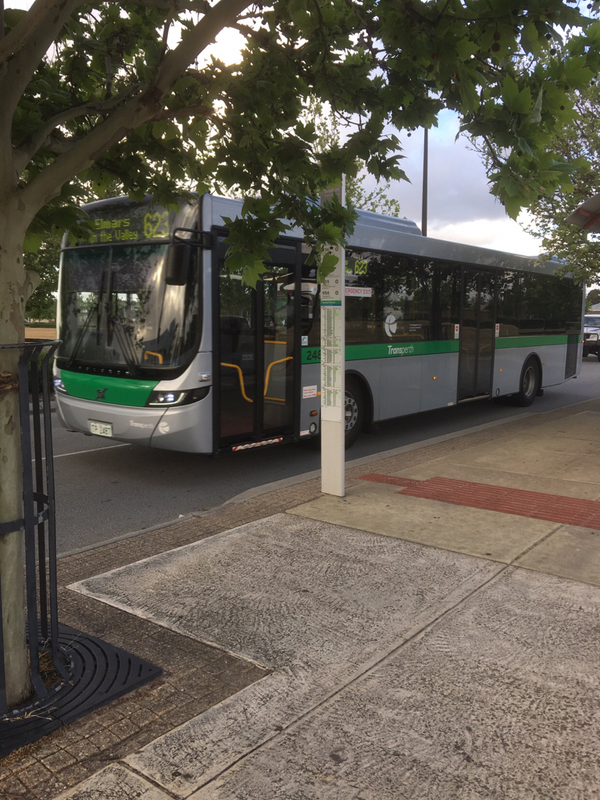 B-Series 81 is seen today operating the Armadale Line.